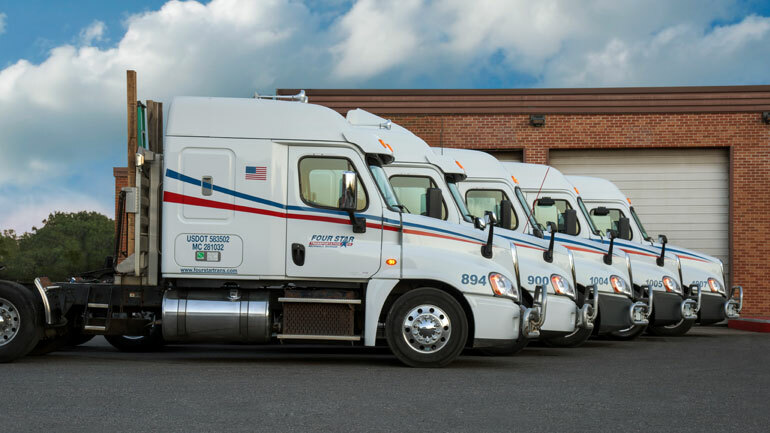 Four Star Transportation is a Midwest-centered, asset-based carrier, warehouse storage and distribution, brokerage and leasing company with over 75 years of family owned transportation-business experience. We work with the top companies in the country, including many Fortune 500 firms. 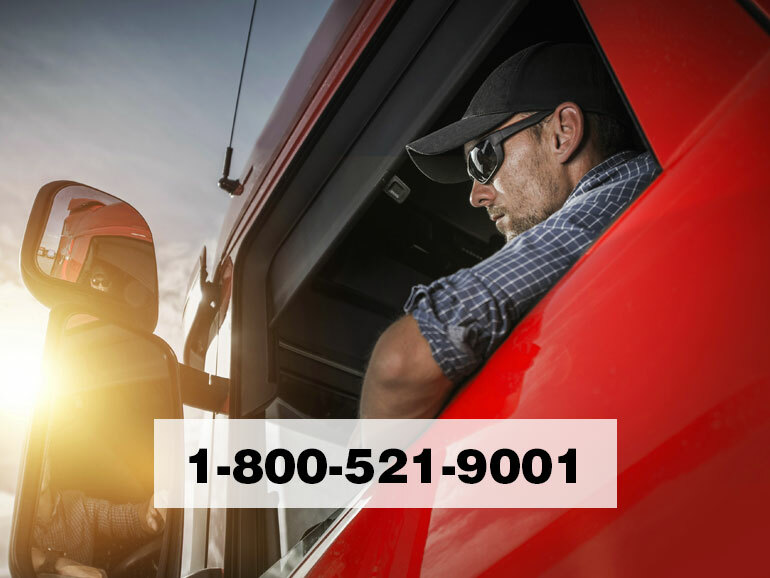 Four Star Transportation utilizes satellite-tracked tractors and trailers, and logistical solutions that are economical, safe and timely. Four Star is focused on the needs of our customer partners. Our entire operation is built to serve them. Our drivers play a vital role in this. They interact with our customers every day, serving as our key ambassadors, and we are committed to supporting our drivers through technology, pay and benefits. 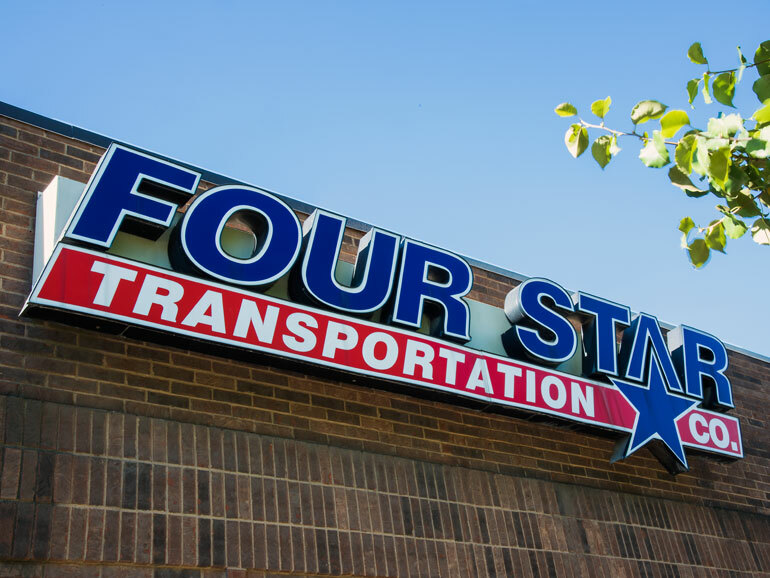 Our goal at Four Star Transportation is to provide transportation solutions in a safe and timely manner. We will provide our customers with trained and experienced staff and drivers who will meet all company qualifications and government regulations. With ongoing department and company evaluations, we will strive to improve our operations through our team’s commitment to excellence. Four Star Transportation understands the importance of customer satisfaction and we are committed to their needs. Our customers reward our efforts with their continued business and referrals to others. Four Star management meets daily to discuss safety; as a company we believe safety is about doing the right thing, even when no one is looking, because the commitment to safety starts with each individual. We deliver our customers’ products on time, safely and claim free. It is the core of what we do. Four Star Transportation’s roots go back to the earliest highways cleared and buildings constructed in the Detroit Skyline. Founded by the C.J. Rogers Co. in 1920, the construction and transportation businesses were purchased by the founder’s son-in-law, William H. Leoni, who became the head of C.J. Rogers in 1974. In 1994, current owner and president Michael C. Leoni, William’s son, took over the helm and re-named the company, Four Star Transportation. 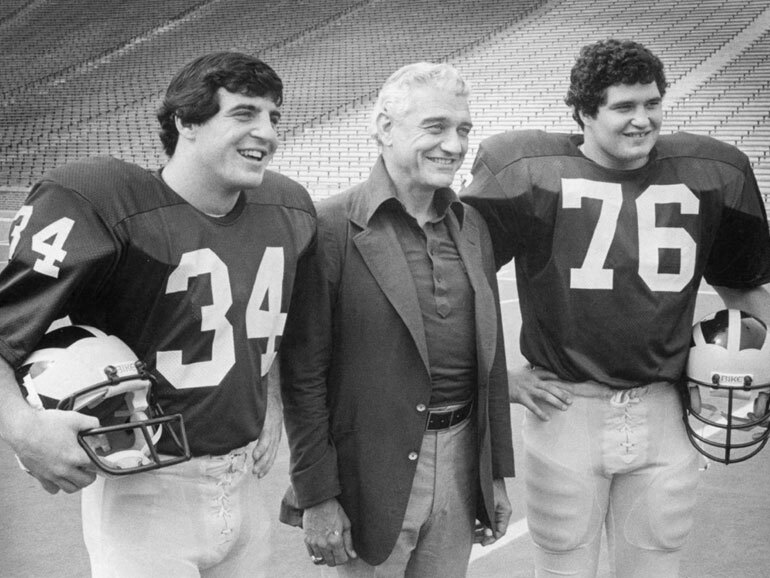 Michael Leoni (right), pictured with his father William and brother Patrick, during his football days at the University of Michigan. Help us write the next chapter of our story – contact us today!